Timothy “Tim” Keating, formerly senior vice president of government operations at Boeing (NYSE: BA), has been promoted to executive VP of government operations at the aerospace company. Keating will continue to oversee the company’s philanthropic efforts worldwide through the Boeing Global Engagement organization, lead public policy initiatives and serve on the executive council, the company said Thursday. “Tim has worked tirelessly to develop and strengthen relationships at all levels of government and in our communities to help ensure our collective voices are heard on issues important to Boeing, our people and our customers,” said Dennis Muilenburg, Boeing chairman, president and CEO. Keating joined Boeing in May 2008 and led the formation of Boeing Global Engagement in July 2017. 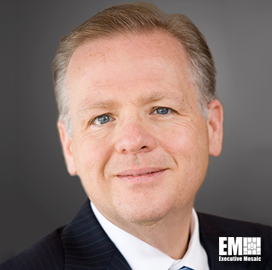 He previously served as SVP for global government relations at Honeywell International (NYSE: HON) and as board chairman and managing partner at lobbying firm Timmons and Co. He worked at the White House as special assistant to the president and staff director for legislative affairs during the Clinton administration and held the roles of special assistant to the doorkeeper and assistant floor manager for the Democratic leadership during his tenure at the House of Representatives. Keating, a Trilateral Commission member, currently sits on the Center for Strategic and International Studies’ advisory board and on the National Association of Manufacturers’ board of directors.